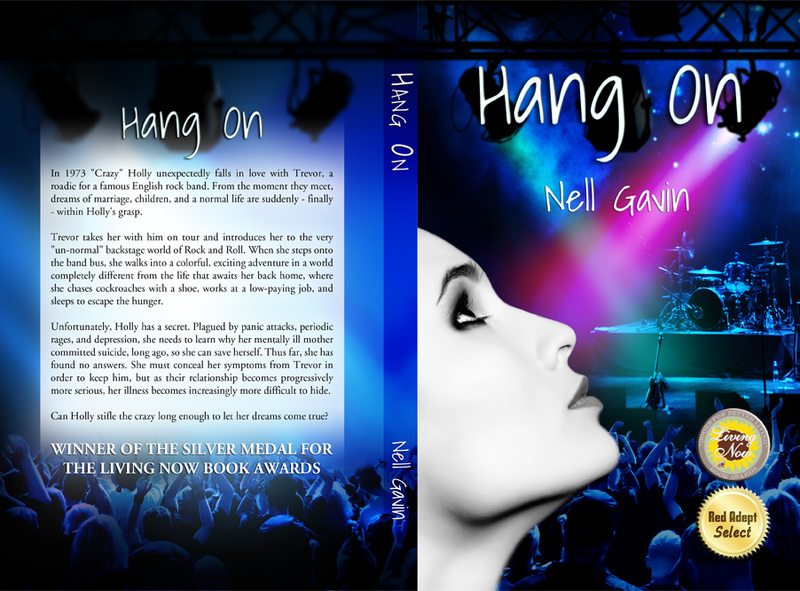 “Hang On” by Nell Gavin. 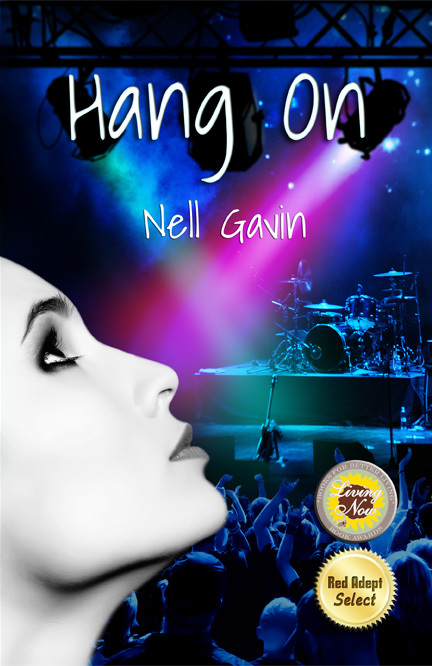 Though this story is set in an energetic world of Rock and Roll, it’s a rather introspective tale of a young girl’s struggle with her own mental health. The goal in designing this cover was to capture all of the energy of a rock concert without detracting from that. This was accomplished by showing the anticipatory moments before the show, subduing it with that cool blue tone and having it shot through with an electric shock of pink to direct attention at the source of the real action. Captures the energy of a rock concert, subdues it with that cool blue tone, and shot through with an electric shock of pink to direct attention at the source of the real action.